“Ahimsa Paramo Dharma” is a Sanskrit phrase that is often repeated today to demonstrate the universality of Ahimsa. Loosely translated, Ahimsa means Non-violence, Paramo means topmost, ultimate, or supreme, and Dharma means duty. Thus, the entire phrase means that non-violence is the topmost duty to the extent that it supersedes all other duties. For someone who holds this true, it means that there is no selective application of Ahimsa…it must be applied in every case and in all matters. This universal sense leads to an unconditional and unilateral abandonment of violent resistance, under any and all circumstances (as in the philosophy of Buddha and Jains). But Sanatan Vedic Dharma does not impose total non-violence on its followers except in the case of ascetics. Ahimsa is a general Dharma that is superseded with Himsa (violence) in order to protect Dharma. Why We Pray to Shiva Linga? Disclaimer: This article is based on my understanding made through reading various religious and spiritual books. Being a science student I have always looked for reasons behind everything, even when I know that some things can not be explained. Still, I have tried. Fool me. In no way my intentions are to hurt feelings or beliefs of anyone. In fact I am not strong enough to hurt your beliefs. So, try to read the below article with an open mind, otherwise you always have the choice of not reading it. 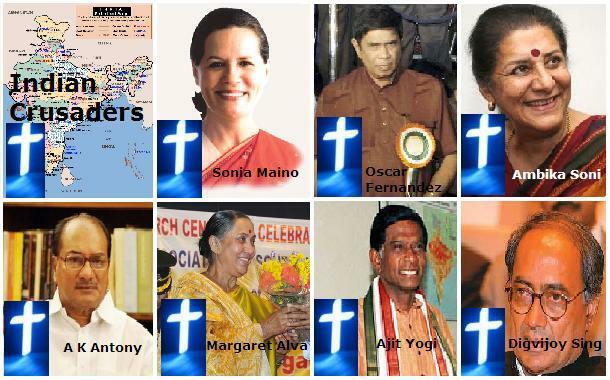 Christian-Missionary Raj in India through Sonia (Maino) Gandhi. The story of Indian Crusaders. Are we heading towards a Christian India? For the last 1600 years, the rustless wonder called the Iron Pillar of India, near the Qutub Minar at Mehrauli in Delhi, continues to stay strong! The pillar, made up of nearly seven tonnes of 98 per cent wrought iron of pure quality, is 7.21 m (23 feet 8 inches) high, with 93 cm buried below the present floor level, and has a diameter of 41 cm (16 inches). A team at the Archaeological Survey of India also came to the conclusion that the pillar was not cast but fabricated by forging and hammer-wielding lumps of hot pasty iron, weighing 20 to 30 kg, in a step-by-step process. The surface of the pillar retains marks of hammer blows. It is assumed that 120 laborers took a fortnight to complete this daunting task.